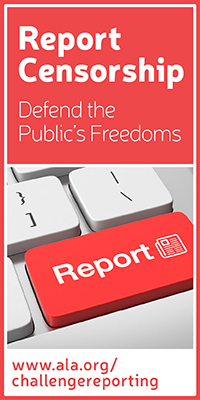 Article 4 of the Library Bill of Rights states that "Libraries should cooperate with all persons and groups concerned with resisting abridgement of free expression and free access to ideas." 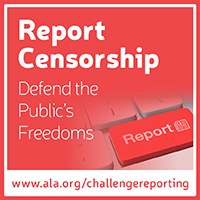 To facilitate such cooperation, the ALA Office for Intellectual Freedom connects with State and Regional Chapters about intellectual freedom, privacy, book challenges, and reporting censorship. Our goal is to empower volunteer committees with resources and a network of people who engage their state membership in intellectual freedom advocacy and awareness. ALA's Office for Intellectual Freedom hosts a series of online “State of the States” web meetings for Intellectual Freedom representatives from ALA Chapters and AASL Affiliates. These informal, quarterly meetings will be an opportunity for people to “meet” each other and to discuss state, local, and national intellectual freedom issues; projects & programs OIF and various chapter IFCs are working on; and how ALA can provide assistance and communication to your groups. OIF established a discussion e-list for state/regional IFC chairs and AASL affiliate contacts. Contact Kristin Pekoll to subscribe to the list. We rely on librarians and educators, and even the public to report censorship and book challenges in libraries, schools and academia. To that end, we've redesigned our reporting form to make it less cumbersome and less timely to tell us about what happened in your institution. This free webinar will highlight the importance of reporting challenges, walk participants through the reporting form, and outline the support available for challenges of all types, big and small. This archived webinar was originally presented January 12, 2017.